Junior Storyteller gets children excited about using their own creativity and imagination to express their voices through storytelling. Through this one of a kind program, children get to learn the writing process from a published children's author. Furthering the experience, this program is complete with The Official Junior Storyteller Workbook and a professionally illustrated copy of their book. To purchase your copy of The Official Junior Storyteller Workbook, click here! Want to bring Junior Storyteller to your organization or the student in your life? Email info@geniuspatch.org with interest. Checkout these stories written by our Junior Storytellers. Enjoy a free download of the stories to share with the special children in your life. Lucinda loves to dance and perform on stage. One day when Lucinda's performance does not go as she has planned, she is sent on a journey with an unexpected end. Come along as Lucinda learns to face her fears and do what she loves once again. There will be lots of inspiration along the way. 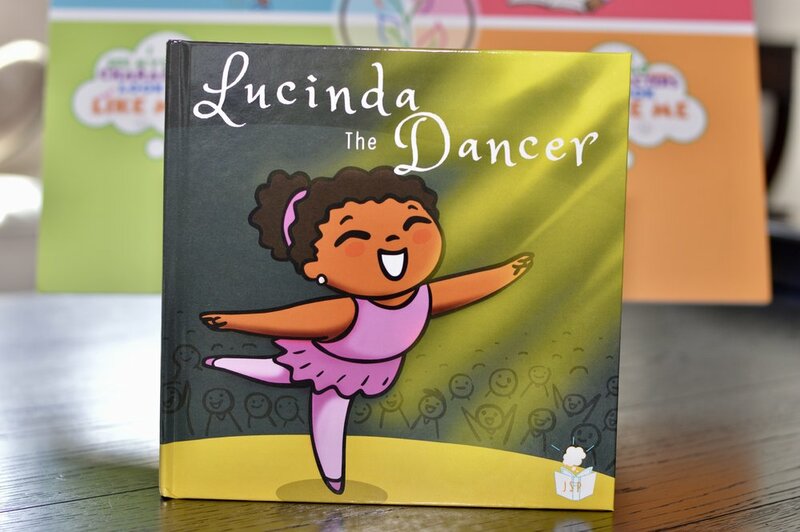 Lucinda the Dancer was written by a group of Detroit middle school students through Genius Patch's Junior Storyteller Program. The Junior Storyteller Program was created by published children's author Ashlee Chesny to bring the joy of storytelling to children. In the program, children work alongside the author to create stories of their own. Can a panda dribble a basketball? Can a panda shoot hoops? 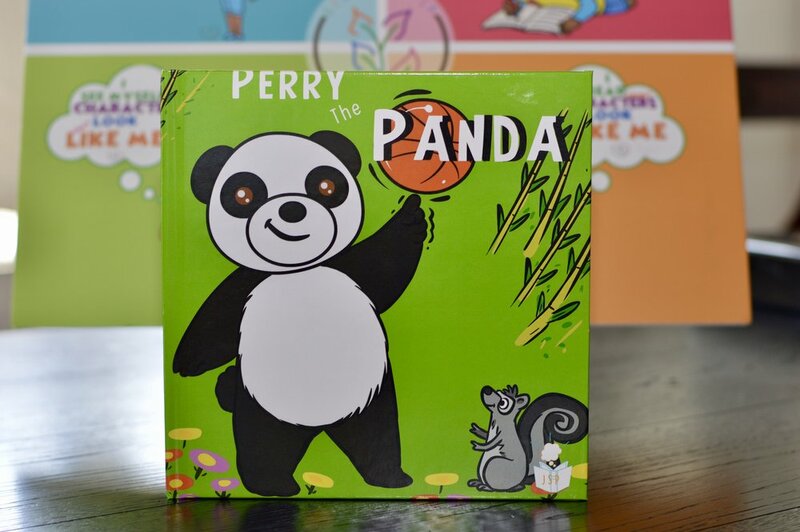 Perry the Panda is a fun tale of unlikely new friends who learn that anything is possible. With a talking squirrel and a panda who can do magical things, the wonderful world of magic comes to life. Enjoy the journey of your new friend Perry, as he sets off to follow his dream. Perry the Panda was written by a group of Detroit middle school students through Genius Patch's Junior Storyteller Program. The Junior Storyteller Program was created by published children's author Ashlee Chesny to bring the joy of storytelling to children. In the program, children work alongside the author to create stories of their own. All has been well on Earth since the Ruler Twins Earned their Ruler Names. The Earth People are working together and because of it earth is flourishing. One day, a bright light shows on Earth and everyone knows trouble has arrived. In this colorful tale, the Earth People and the Ruler Twins must work together to save Earth from the Moon Man. Come along for this superhero adventure. The Adventures of the Ruler Twins: The Moon Man Rises was written as a prequel to Author "Mrs. Ashlee" Chesny's "The Adventures of the Ruler Twins". The story was written by a group of Detroit middle school students through Genius Patch's Junior Storyteller Program. The Junior Storyteller Program was created by published children's author "Mrs. Ashlee" Chesny to bring the joy of storytelling to children. In the program, children work alongside the author to create stories of their own. Junior Storyteller workshops and book productions are made possible through generous donations made by caring community members and businesses. If you would like support Junior Storyteller or any other Genius Patch Program, please click here.